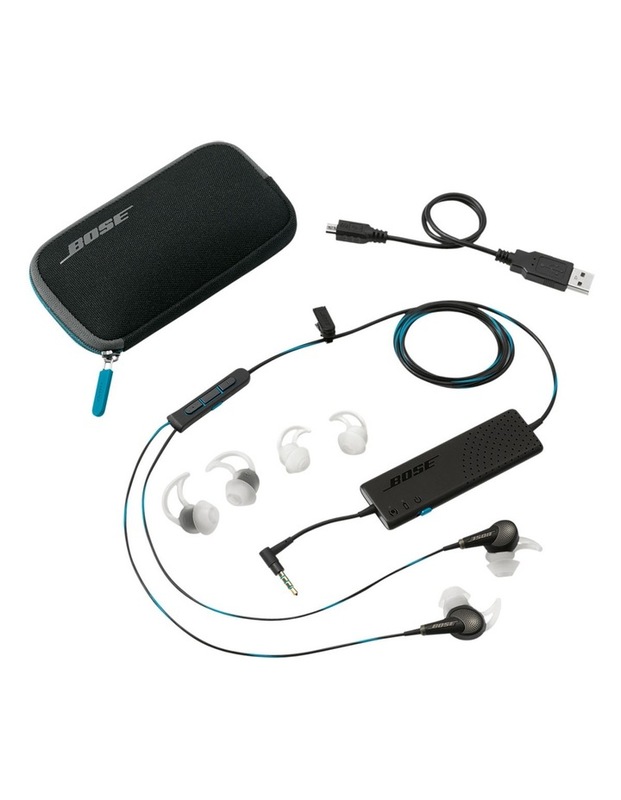 The Bose QuietComfort 20 Acoustic Noise Cancelling headphones let you enjoy better sound every day, everywhere you go. Turn on noise cancelling to reduce surrounding distractions and focus on your music. Or, at the touch of a button, activate Aware mode to hear whats happening around you. Proprietary StayHear tips provide a soft, secure fit. The inline microphone and remote let you switch easily between calls and music with your Samsung Galaxy.